Below you fill find all funeral homes and cemeteries in or near Kane. Suburbs of Kane: East Kane. 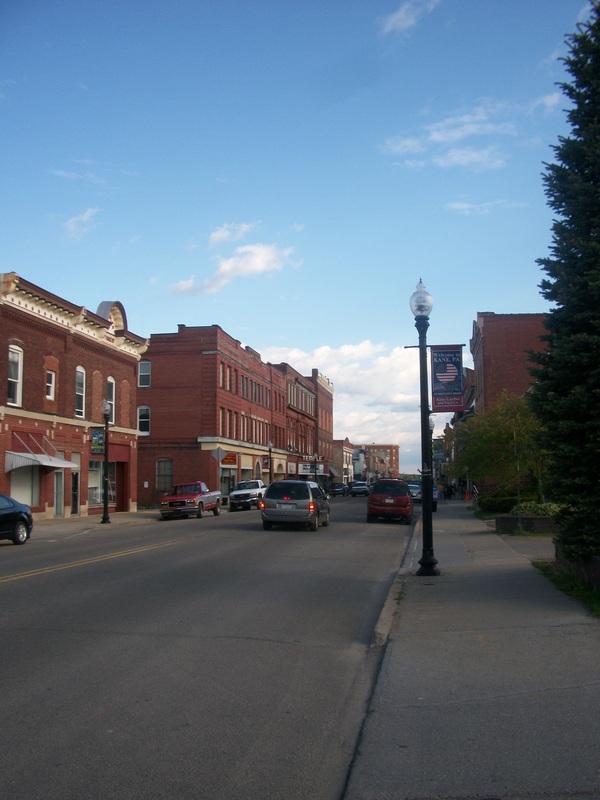 Kane is also known as: McKean County / Kane borough. Their current mayor is Mayor William "Yogi" Osmer. Zip codes in the city: 16735. McKean County funeral flowers can be purchased from one of the local funeral shops we partner with. Some of the notable people born here have been: (maryanne amacher), (victor j. westerberg), and (joy flowers conti). Kane is a borough in McKean County in the U.S. state of Pennsylvania, 94 miles (151 km) east by south of Erie. It was founded in 1863 by Civil War general Thomas L. Kane at an elevated site 2210 feet (674 m) above sea level. In the early part of the 20th century, Kane had large glassworks, bottle works, lumber mills, and manufactures of brush handles, saws, cutlery, screen doors and windows. The population peaked in the 1920s but has since declined by around half to 3,691 persons in 2012.It is the home of the Kane Area School District, and they are known as the Kane Wolves.Famous residents of Kane include two-time NBA Champion and 1992 Olympic gold medalist coach Chuck Daly and Amy Rudolph, an Olympic distance runner and qualifier in the 1996 and 2000 Summer Games. It was revealed by Star-News on December 26th, 2018 that Rosetta Ann Debevec died in Wilmington, North Carolina. Debevec was 72 years old and was born in Kane, PA. Send flowers to express your sympathy and honor Rosetta Ann's life. It was written on November 15th, 2018 that Patricia A Hanlon (Rimer) perished in Green Bay, Wisconsin. Ms. Hanlon was 87 years old and was born in Kane, PA. Send flowers to express your sorrow and honor Patricia A's life. It was noted on May 23rd, 2018 that Dorothy "Dot" Root passed away in Lakewood, Colorado. Root was 91 years old and was born in Kane, PA. Send flowers to express your sorrow and honor Dorothy "Dot"'s life. It was disclosed on March 2nd, 2018 that Dorothy Louise Dankworth (Hepler) died in Ohio. Ms. Dankworth was 92 years old and was born in Kane, PA. Send flowers to share your condolences and honor Dorothy Louise's life. It was revealed by Star-News on February 18th, 2018 that Carolyn A Bentz (Weaver) passed on in Wilmington, North Carolina. Ms. Bentz was 76 years old and was born in Kane, PA. Send flowers to express your sympathy and honor Carolyn A's life. It was revealed on January 7th, 2018 that Linda D Credicott (Ray) passed on in Niagara Falls, New York. Ms. Credicott was 77 years old and was born in Kane, PA. Send flowers to express your sorrow and honor Linda D's life. It was written by The Desert Sun on October 13th, 2017 that Nancy Lee miss Banks passed away in California. Send flowers to express your sympathy and honor Nancy Lee miss's life. It was written by Sarasota Herald-Tribune on July 7th, 2017 that Weldon Goble Frost perished in Longboat Key, Florida. Frost was 86 years old and was born in Kane, PA. Send flowers to share your condolences and honor Weldon Goble's life. It was noted by Orlando Sentinel on May 28th, 2017 that James Frederick Carles died in Florida. Carles was 80 years old and was born in Kane, PA. Send flowers to express your sorrow and honor James Frederick's life. It was revealed by Register Guard on April 16th, 2017 that Val Jean "Jean" Wesley (Birch) perished in Creswell, Oregon. Ms. Wesley was 79 years old and was born in Kane, PA. Send flowers to share your condolences and honor Val Jean "Jean"'s life. In 1858, Colonel Kane prevented the "Mormon War" between 2500 US Army soldiers, under A.S. Thomas L. The General's wife and three of their four children became physicians in Kane. General Kane's older brother was Elisha Kent Kane, America's most prominent Arctic explorer before the Civil War. Kane was offered the Utah Territorial Governorship, but insisted that the position go to Brigham Young. He served Covenant churches in Kane, Pennsylvania; Stanton, Iowa ... Visitation will be observed from 6 to 8 p.m. at Kapala-Glodek-Malone Funeral Home in New Hope, and from 1 p.m. until the service begins at Calvary Lutheran. She was born April 11, 1924, in Kane, Pa., the daughter of Frank and Nel ... Powers, Present & Sixbey Funeral Home was in charge of arrangements. Listing all funeral homes in Kane, Pennsylvania so you can easily send flowers to any location (same day delivery) or find any funeral service. We work with local florists and flower shops to offer same day delivery. You will find budget sympathy flowers in Kane here. Our funeral flowers are cheap in price but not in value.